Bokken swords are wooden swords that are typically used for training. 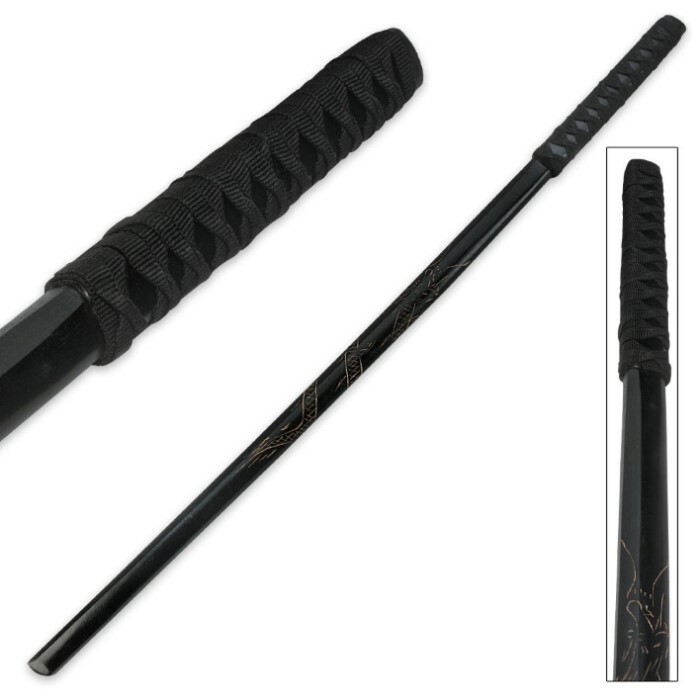 Train with ease and style with this black hardwood wooden bokken Samurai sword! 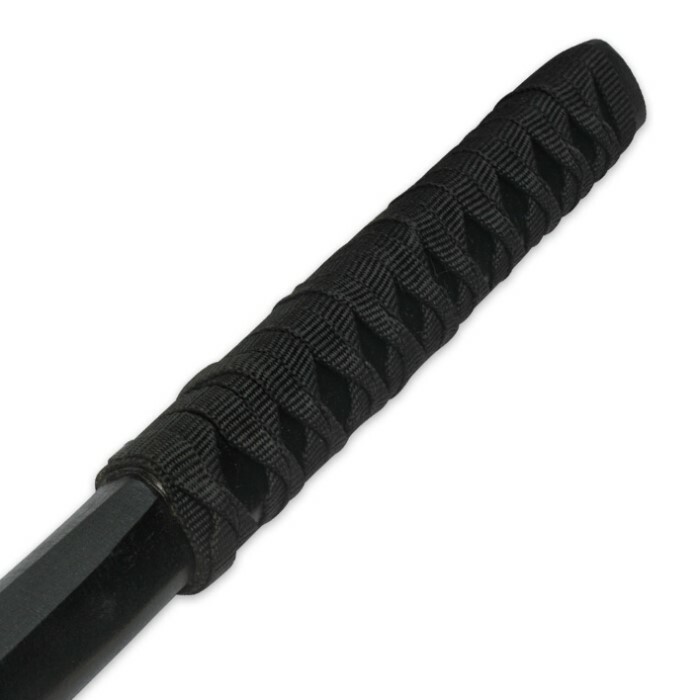 The black wood sword features hand-carved dragon details and a black cord-wrapped handle. It is 39 1/2” in overall length. I got this sword for 5 bucks to use as a cheap disposable trainer. it arrived with a small crack in the blade. i don't care that much because it was five bucks and it still takes a beating. its great for the price!